Bay County officials expect to save on utility costs with a newly installed wind turbine. 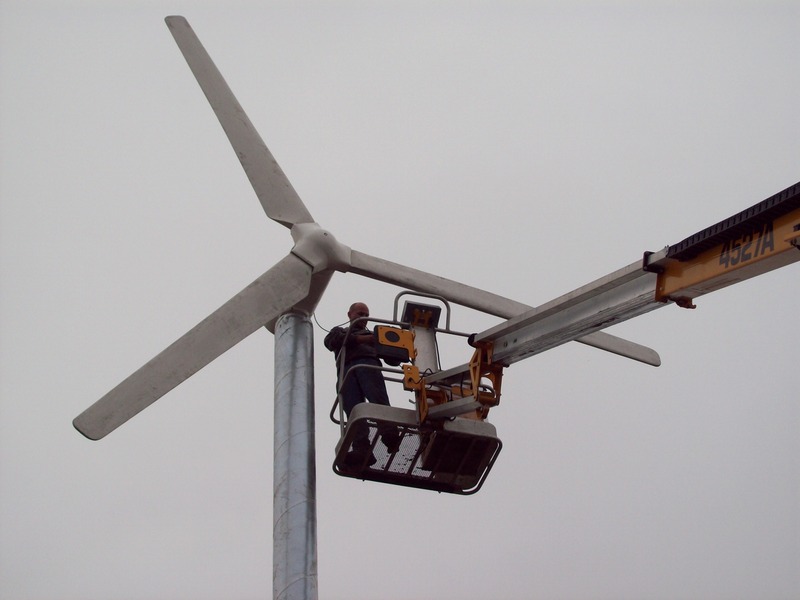 The 4-kilowatt vertical axis turbine was installed recently at the Bay County Community Center in Bay City. The equipment was paid for with a federal energy efficiency grant totaling almost $600,000, and installed by Affordable Green Energy of Essexville. This is the second wind turbine installed on Bay County property and funded by the grant. The first was earlier this year at the county’s Juvenile Home in Hampton Township. Besides the two turbines, the grant also has paid for energy-saving equipment at the Bay County Building and Bay County Civic Arena. Altogether, Bay County officials say they expect to save 20 percent on utility costs with equipment purchased through the grant. The Great Lakes Restoration Initiative is funding a number of new projects in Michigan. The U.S. Environmental Protection Agency has announced awards of about $4.7 million in grants through the federally funded initiative. The newly funded projects include money for mapping harmful algal blooms on the Great Lakes. These blooms affect water quality in Saginaw Bay and can result in beach closings. Central Michigan University also is receiving money to establish gull exclusion zones at public beaches. And funding is going to the Michigan Department of Agriculture and Rural Development for sediment reduction in the Sebewaing River Watershed. The 12 grants in Michigan are among 70 grants totaling nearly $30 million that EPA has awarded this year under the Great Lakes Restoration Initiative. Who would you nominate to the Michigan Environmental Hall of Fame? A nonprofit called the Muskegon Environmental Research and Education Society has formed a Michigan Environmental Hall of Fame. Society officials tell The Muskegon Chronicle it’s the first of its kind in the state. The Hall of Fame is taking nominations for the first class to be inducted into the Hall of Fame in the spring. Nominations are due by Feb. 20. Michigan environmental groups are being recruited to help spread the word about the hall of fame and the nomination process.